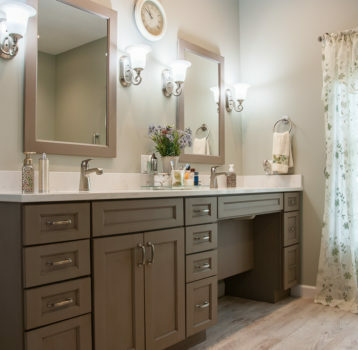 This sweet basement bathroom is inspired and takes direction from a fantastic vintage blue door that takes its stage in the adjacent living area (don't miss the gallery images of the Blue Door Basement space). 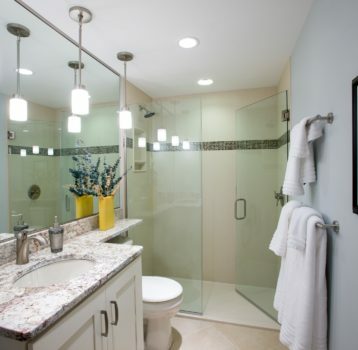 The bathroom is compact, so spend some time on these couple of pictures to see all the careful details. 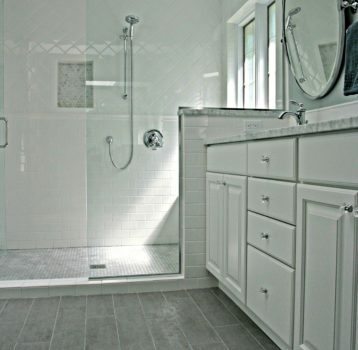 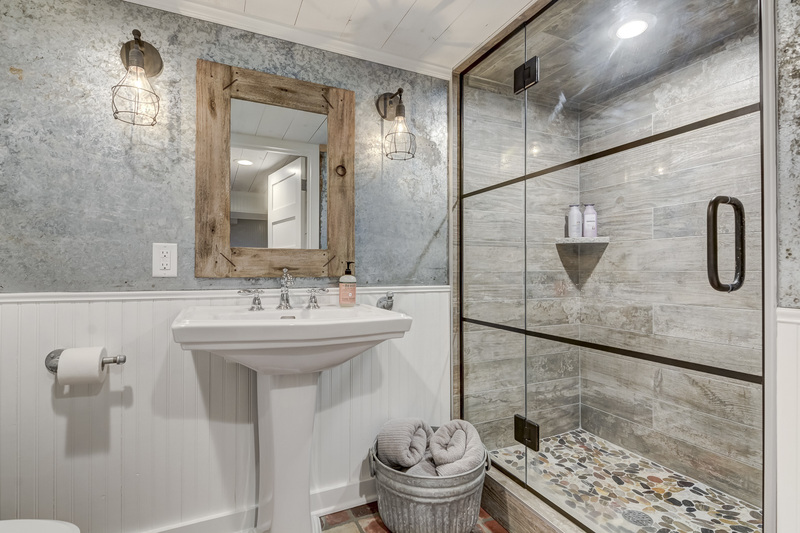 Shiplap on ceiling, faux wood plank tiles in shower including the ceiling, pebble floor, custom glass shower door, galvanized sheet metal on walls, caged light pendants, steel pipe toilet paper holder and towel hook (brick tile floor and bead board were existing).